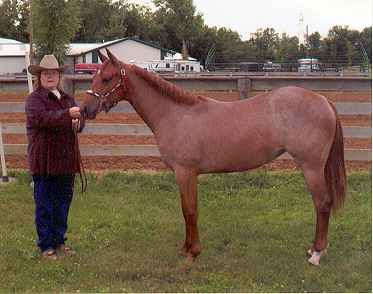 Smokin Zip A Roo.. Dude's 2002 Red Roan Filly..
Dude is Peppy San Badger, Organ Grinder, Mr Gun Smoke bloodlines. Team Penning MONEY EARNER !! He also runs Barrels and Poles and shows in HALTER !!!! 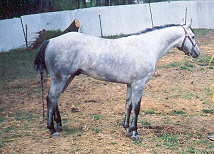 We have horses For Sale. Be sure to sign my Guestbook when you are done looking at the Horses. It is on the Contact page.. Thanks and ENJOY ! !